The WB1218 is a Clear Acrylic 5-Sided Box with One End Open. 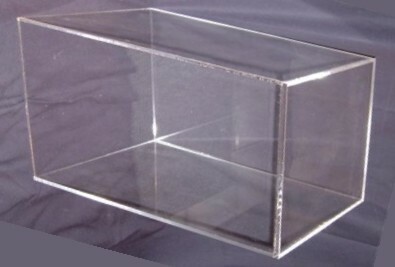 Our Acrylic Boxes Can Be Used to Hold Products, Cover Products or as a Pedestal For Products. Hand Manufactured from Sturdy Crystal Clear Acrylic, This Plexi Box is Durable and is Built to Last.